I’ve been going to CES for almost ten years now, and it amazes me that really, nothing has changed that whole time. The same people are saying the same things on the same stages, selling the same people the same junk with slightly higher price tags. But this year I had a great time and found some amazing companies — because I avoided at all costs actually stepping foot on the show floor. The math is simple: when a company gets big enough to get itself a big booth showing off its products, it is almost always at that point that it ceases to be a source of real innovation — or at least the kind of innovation I think is worth tracking down and writing about at CES. They don’t do anything truly cool, nor anything truly dumb. And I’m not punishing them for their success. I’ve seen some of these companies grow up from nothing to a flashy booth staffed by dozens, and that’s great. But they exist on a different plane now: they seed their news with sites ahead of time, they have private press conferences, they’re working in suites to set up sweetheart manufacturing deals. They’re part of the machine now. Congratulations! 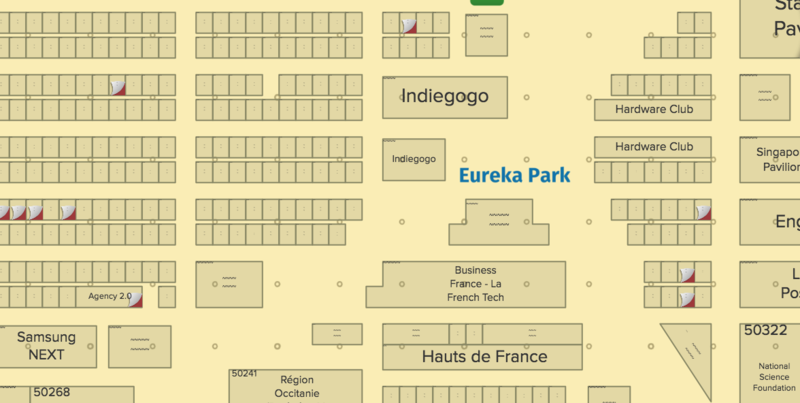 A small portion of the Eureka Park map. Technically it is part of the show, but it’s also like hell. Hundreds of booths perhaps six feet wide and deep are crammed in, CEOs displaying their wares like butchers or street merchants. It’s hot and humid (even in the cold, usually dry Las Vegas January), there’s barely room to move along the inadequate aisles, and if anyone sees you’re media they make a sort of flying pitch at you to pique your interest au volant. Normally I’d hate this kind of thing, but of course I’d do anything for our glorious parent companies. And actually, this is where pretty much everything cool is. Sure, you can find crazy gadgets and knockoffs in the innumerable Chinese manufacturers, and the likes of LG have things like roll-up OLED screens, but these are no more than novelties, both for the companies themselves and those viewing them. The companies at Eureka Park are generally startups with one product or service that they’ve put all their money and time behind; they really care about this stuff. Every once in a while, though, you hit the trifecta: a smart piece of technology being created for a worthwhile purpose by people who actually care about both. I dare you to find anything like that in any of the main halls. This year I found a few examples of this. 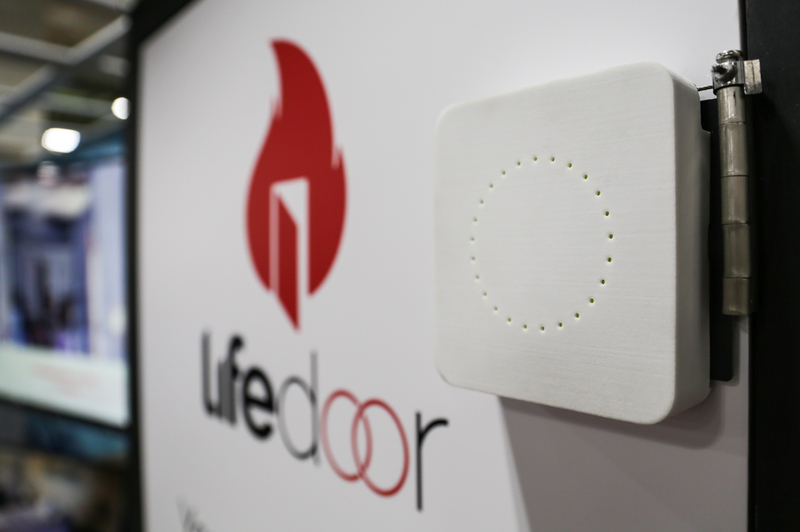 The first one I visited was LifeDoor, a device that closes a door it’s attached to when it hears a smoke alarm go off. Here’s something that could save lives (really), is simply yet purposefully designed, and created by a few people (including firefighters) who saw a chance to make something that helped others. Another gadget I found seemed too good to be true, so much so that I requested third party documentation that it works. It was Lishtot’s TestDrop, a device smaller than a keyfob that instantly and reliably tells you if water is drinkable without even touching it. Wouldn’t you be skeptical? This company didn’t really even have its own booth; it was listed under the “Israel Export Institute.” An affordable device that could save thousands of lives, and it has less room dedicated to it than Samsung’s cheapest TV! The passion, if little else, was on display at the SoundSkrit booth. Other stories are less life-changing but equally fun stories. Euveka’s shape-shifting mannequin could help create clothes tailored to body types not catered to by the industry. 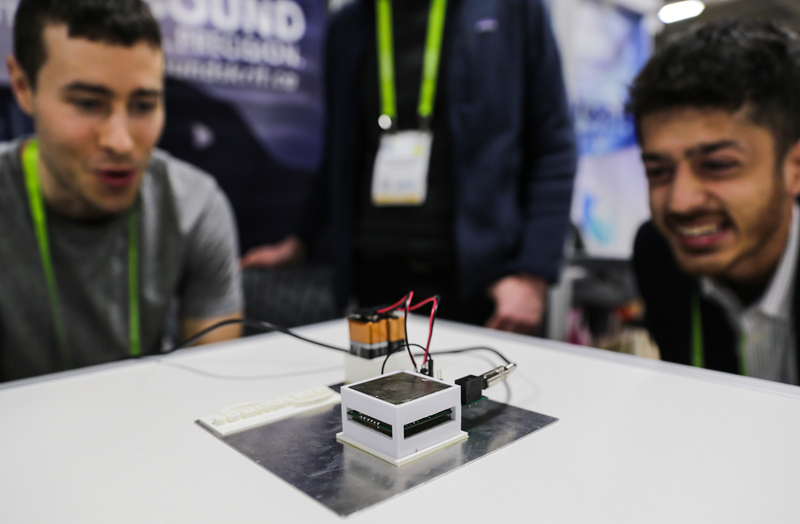 Soundskrit’s student founders want to reinvent the microphone. And a high school student, tired of her hands freezing while playing lacrosse, worked with her dad to make a heated stick. This is the interesting side of CES, full of people using technology for good or at the very least interesting purposes — not looking to sell you yet another “smart” appliance or scrape the bottom of the funding barrel for one more VR accessory. All of these people came to the Sony press conference and all of them were disappointed. 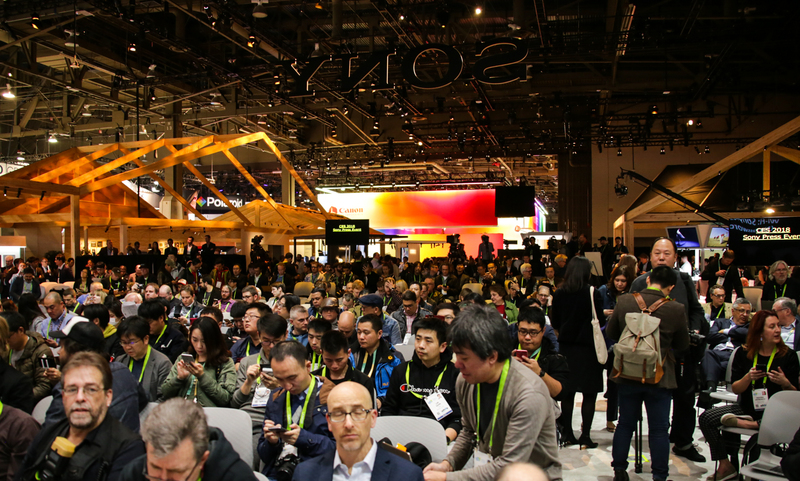 More than a hundred thousand people come to CES, and among those myriads are a precious few who love what they do and want to accomplish something using technology. It isn’t easy and it isn’t glorious (especially not the booths), but it really is worthwhile, and worth seeking out. It’s easy to be cynical about the excess of CES: the pointless press conferences that cost millions, the acres upon acres of TVs nearly indistinguishable from last year’s, the buzzwords and half-truths used to stave off the reality that none of the junk they’re selling matters to them or anyone else. See, I waxed cynical just writing that sentence! But there are treasures waiting to be discovered there, and people waiting to be listened to and learned from. Just don’t look for them in the cavernous main halls and truth-deprived marketing. I can honestly say that CES was well worth going to this year — as long as you didn’t actually go.